Can we say sheer FIERCENESS? I luv their commercials. They're always so chic and dispell the myth that natural women are frumpy b/c we're far from that! If you don't know about The Coil Review than you are seriously living under a rock! 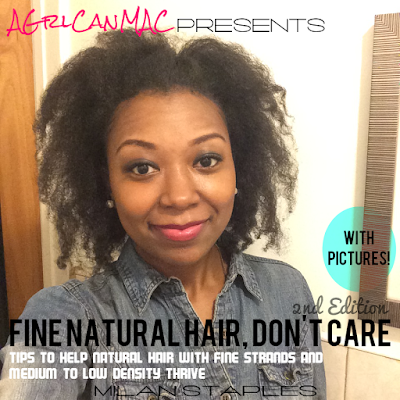 It's a great site with lots of inspiring and thought provoking articles, pics of fly naturals free tressed and loc'd, and tons of other goodies. Check them out! I wish they would create a mini series. Which we reminds me that I'm still anxiously awaiting the Afro City series to debut! When will they stop torturing me/us with the wait? !